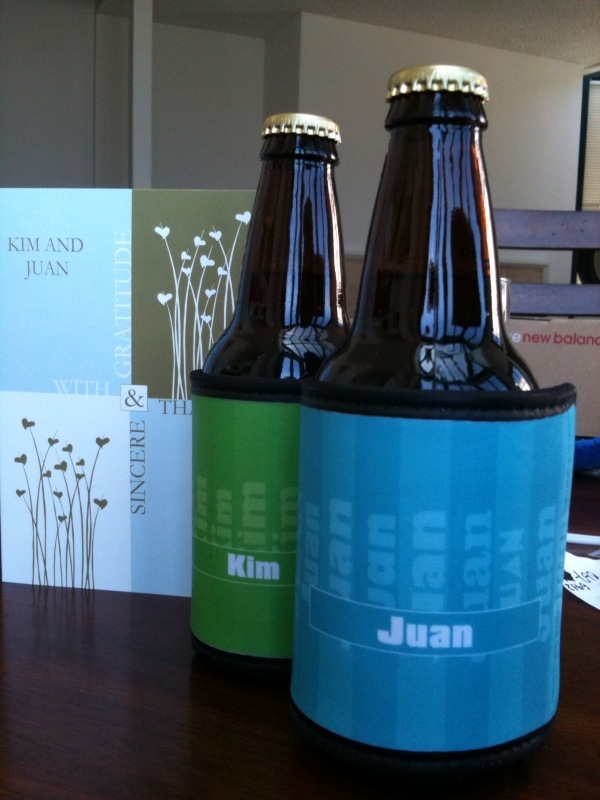 Kim Unplugged: Randomness: Best Gift Ever! I just received a little package in the mail today from Marisa, a dear friend from New York who recently visited San Francisco. 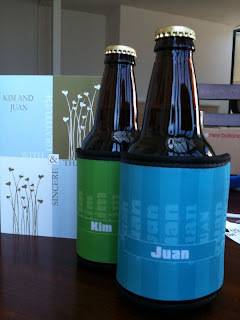 Marisa sent us personalized beverage insulators from PersonalizationMall.com! What a befitting and thoughtful gift idea! We hope you visit us again soon so that we can all enjoy plenty of chilled beverages together. Thanks Marisa!